Mindless Mirth: Ever Want To Get Away From It All? 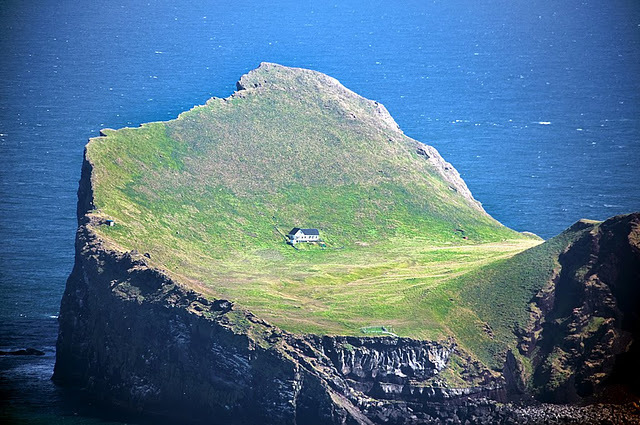 The island of Elliðaey in Iceland. 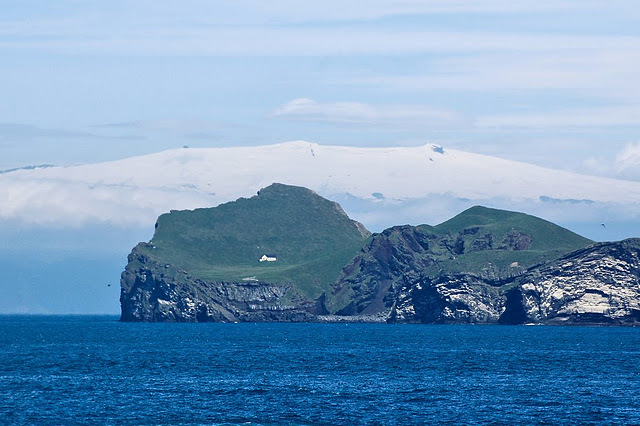 As one of the Vestmannaeyjar (in English, the Westman Islands) in the South of Iceland, this island is about as far away from anyone or anything as you could get. The island, sometimes known as Ellirey is small. .45 square kilometers, complete with a house where you can take shelter from the elements. Internet access?... negative. The island is accessed via a rope on its lower east side – and you can only access the rope by boat. There are a few lonesome cattle for company on the island but your major source of camaraderie would be the thousands of sea birds that use it for a nesting site. The island, a volcanic crater, was formed in a large eruption about five or six thousand years ago. Since that time Puffins have used it to dig their holes and to settle down to nest. The house was only built in 1954. 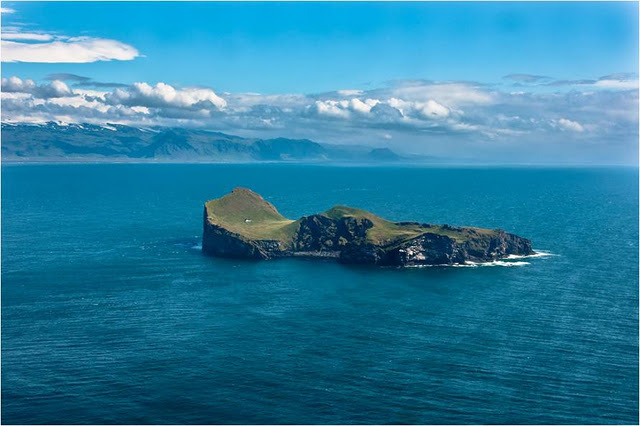 The island is owned by a collective – even though there were once rumours that it had been gifted to Icelandic singer Bjork for her contribution to raising the profile of Icelandic culture throughout the world. Actually, it is rented out to those who wish to be alone.